150 pages – softcover – 7"×10"
It’s usually spoken in hushed tones and with a sly smile: “It’s in The JINX.” It’s exactly the sort of answer an experienced magician loves to give for the source of a just-performed killer trick. Not only are some of today’s “new” tricks derived from items originally published in The JINX (1934-42), but its creator Theodore Annemann was the original magic blogger. Every month, in his spirited editorial column, Annemann praised — and more often condemned — magic and magicians. Working as a professional mind reader, and known to the magic community through his prolific early publications and contributions, Annemann became ensconced in a scene that was the center of American magic. His legacy is a landmark work. Its thousand pages stand like a massive, intricately forged armored door with no easily detectable keyhole among myriad distractions. It’s easy to get overwhelmed. Uncovering the priceless subtleties contained within The JINX demands about a year’s intensive study — or the right lock picking set. 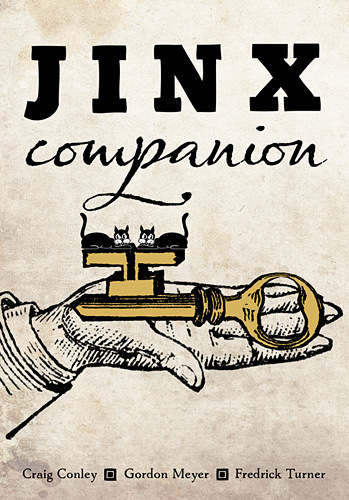 Each chapter of the JINX Companion could be likened to a lock picking tool. Its introduction is a torsion wrench, establishing a “constant” while the reader shifts into a proper feel for the material. Its “Secrets and Mysteries” chapters are half-diamond picks, offering easy access to vital individual elements (such as long-forgotten methods ripe for revival — gems of a practical nature). Its “Signs and Wonders” chapters are warded picks (a.k.a. skeleton keys), allowing for internal manipulations (compelling notional springboards such as mind-expanding aphorisms and mythological allusions — gems of a cerebral nature). Craig Conley has been called “a true Renaissance man of the modern era, diving headfirst into comprehensive, open-minded study of realms obscured or merely obscure” (Clint Marsh) and “America’s most creative and diligent scholar of letters, words and punctuation” (Encarta). He is author of Magic Words: A Dictionary (Weiser Books), One-Letter Words: A Dictionary (HarperCollins), and dozens upon dozens of other titles. His website is MysteryArts.com. Gordon Meyer leads a Lamont Cranston-esque dual life. During the day he is a technical writer who explains sophisticated technology to the rest of us; at night he performs personal magic that defies explanation. 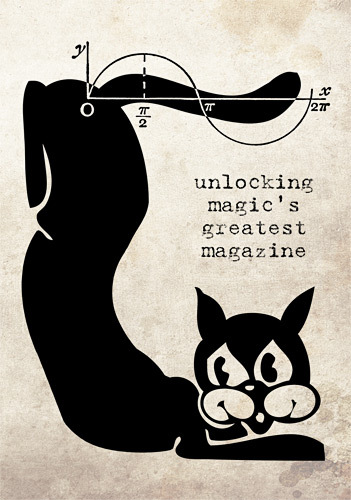 He’s a patented inventor, the author of Smart Home Hacks (O’Reilly), and he curates the Map of Chicago Magic. His websites include GordonMeyer.com and ChicagoMagicStudio.com. Fredrick Turner produces and performs at Seattle’s longest running magic showcase, Magic Monday, and has performed for corporations, non-profits and at scores of private events. He uses his magical talents to design and deliver training experiences across the U.S. and Canada. He is currently working on a book focusing on the intersection between the practice of Yoga and performance magic. His website is MagicBeforeYourEyes.com. “This collaborative work proves that self-published books can really, truly succeed. The Jinx Companion, a fun and informative study guide of sorts, was compiled by three writers—Craig Conley, Gordon Meyer, and Fredrick Turner—over the course of a yearlong study of Annemann’s Jinx magazine. Arguably one of the most important periodicals in the history of conjuring, and the source of much inspiration and the fodder for many other books, it’s a wonder that no one considered planning a guided tour of The Jinx before. Thankfully, this triumvirate knows how to lead an expedition, and has done so with great style and a sense of fun, which permeates each page of the publication. The trio culled important or fascinating references, mapped out paths to forgotten miracles, and brought back other tantalizing tidbits from obscurity (or the depths of memory, at least). Incorporated throughout are the cut-and-paste graphics that made Annemann’s original so intriguing and visually interesting in the first place. All those factors make this a trip worth taking. Recommended by Jeff McBride on McBride TV.